On 14 and 15 March, Karanovic & Partners participated at the Banking between Mediation and Digitalization conference, organized by the Association of Serbian Banks. 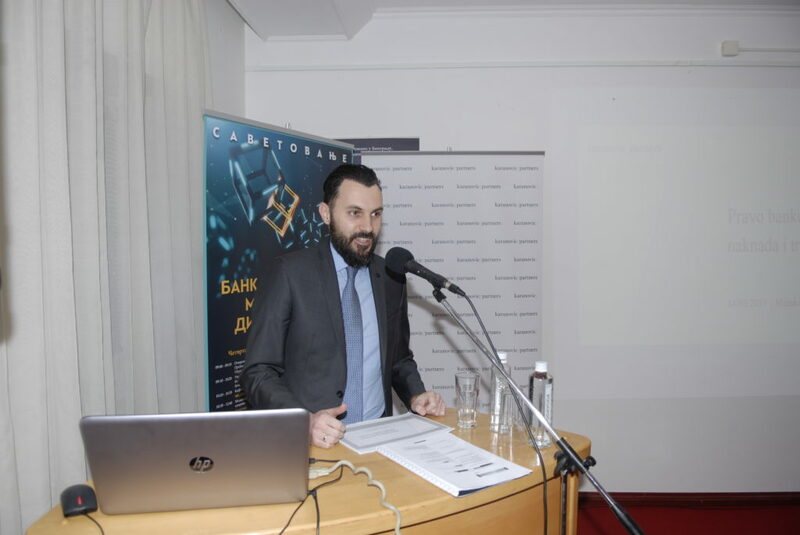 The event concerned itself with mediation as a form of dispute resolution, as well as other burning topics in banking, with the idea of opening the way for emerging innovative technologies within the Serbian banking sector. Milinko Mijatovic* held a presentation titled The Right of Banks to charge Compensation and Credit Costs. The feedback from the audience was exceptionally powerful considering the notoriety of this burning topic. The event was attended by more than 70 lawyers, judges, notaries and legal counsel. This year, the Office for Information Technologies and e-Government of the Republic of Serbia spoke at the event, presenting the Government’s results and projects so far in this field.